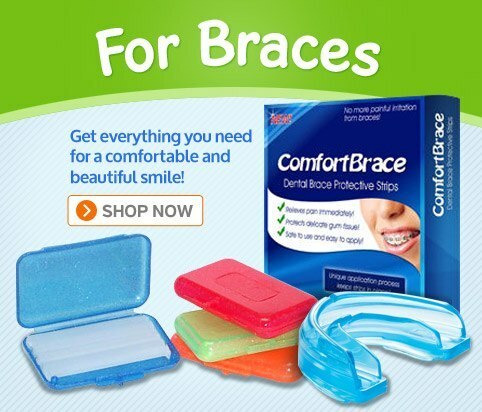 has been the web's leading provider of products for people with dental braces and retainers. We are a family-owned company that prides itself in personalized service. We have tens of thousands of satisfied customers in over 70 countries worldwide! LEARN MORE ABOUT US. Learn why DentaKit.com is a unique online store that can serve you better than the other guys. How can you stop your braces from hurting? How do you clean your retainers? These helpful articles will tell you! Connect with other people in braces and retainers around the world with our sister site, ArchWired.com's Metal Mouth Message Board. Order our products with confidence on our secure server. DentaKit is a 5-Star Top Service Yahoo store. We ship worldwide and take most major credit cards. US orders are shipped via Ground or Economy Air service (usually FedEx Ground, US Postal Service, or FedEx/USPS SmartPost) with tracking. International orders are economically shipped via the US Postal Service (customs fees may apply). Free shipping offer is for the 50 United States and US territories, incl. APOs & FPOs. DentaKit.com carries dental wax for orthodontic braces, orthodontic toothbrushes, dental floss for braces such as Oral-B Glide Threader Floss and Plackers Orthopick Flossers, dentapicks like Pick-a-Dent and Tip-a-Dent, lip protectors and mouth guards for braces like Comfort Cover and Bracket Jacket, and Plaque HD toothpaste. 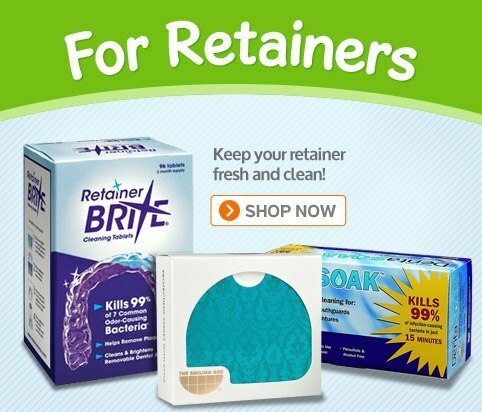 We also sell retainer cleaner products like Retainer Brite, Sonic Brite, DentaSoak, OAP Cleaner, and Cleanse Freshen Go retainer cleaning wipes and spray. Some are persulfate-free. And Stay Tray replacement for lost and broken orthodontic dental retainers. We have a great selection of cool and stylish retainer cases in a variety of colors, and our own braces survival travel kit.